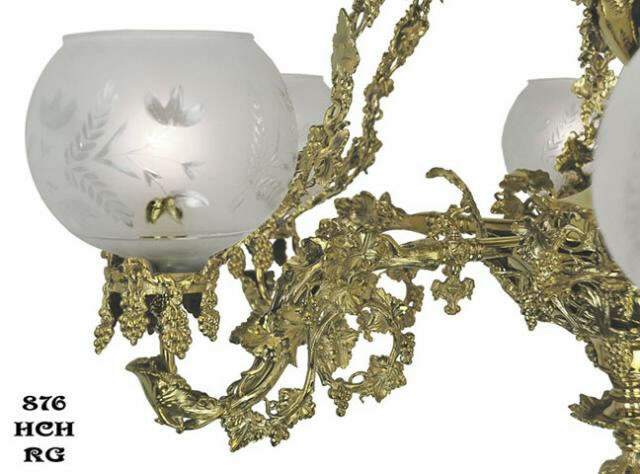 To say that this is a beautiful light is to understate its impact.Every casting is lost wax cast solid brass; every bowl is hand spun;every connector is hand made from solid brass. 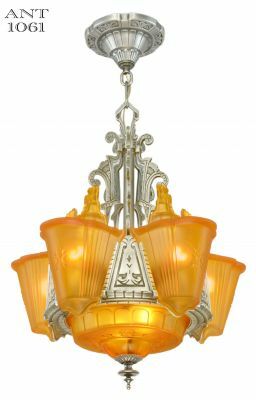 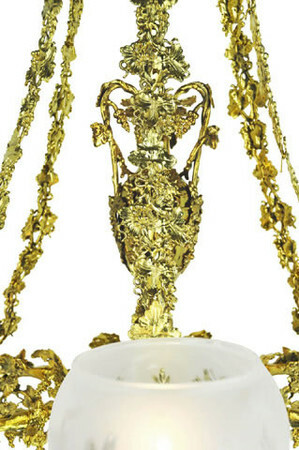 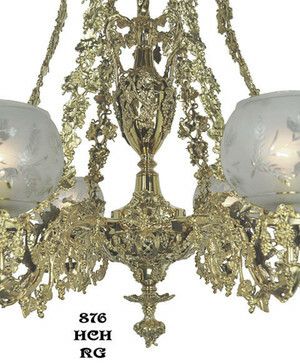 Circa 1840, recreated neo-rococo gas (now electric) chandelier attributed to Cornelius. 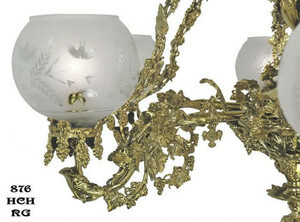 This 6 light is really quite impressive with dripping rococo elements of grapes and leaves. 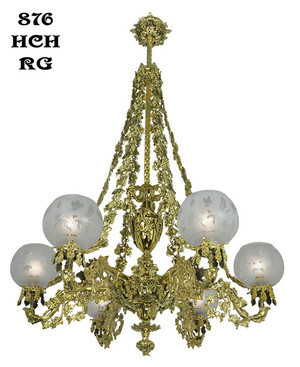 Bunches of grapes drip from every conceivable place while the heavy decorative chain, pictured here also, popular 1840-50, with over-sized detailed leaves, repeat one of the most popular decorative themes of the Victorian era, ie. 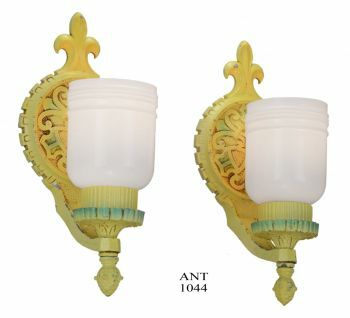 Grape and Leaf. 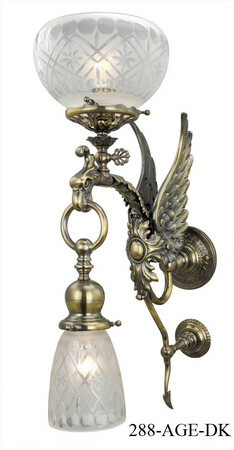 Attribution of this original fixture was rather easy since the gas key and finial are well known Cornelius design elements on other documented lights. 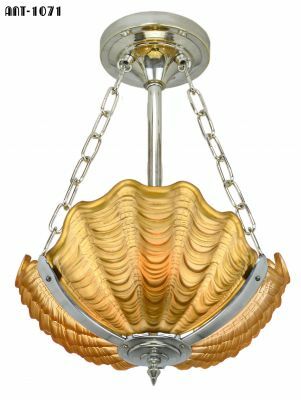 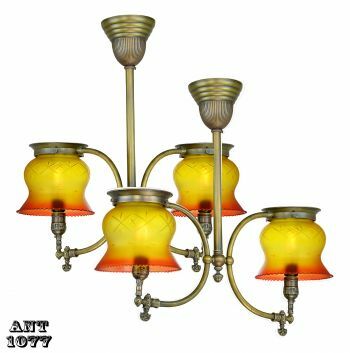 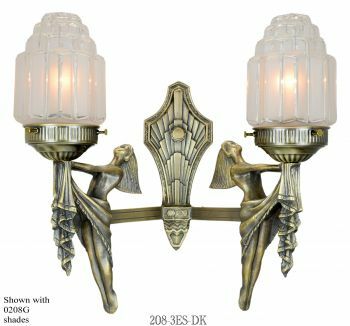 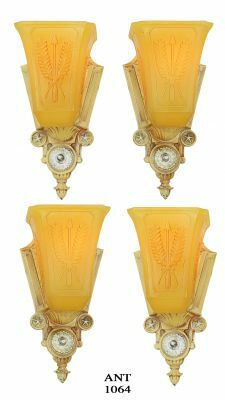 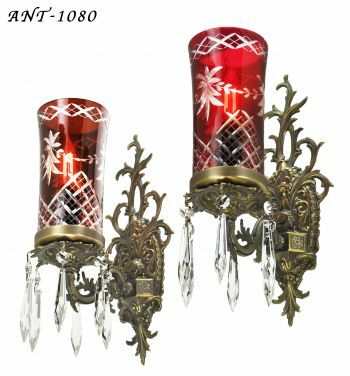 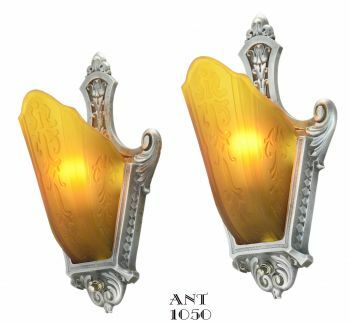 We believe that this fixture was made to be in direct competition to the firm of Archer-Warner whose Rococo offerings about this time were also Grape and Leaf design chandeliers. 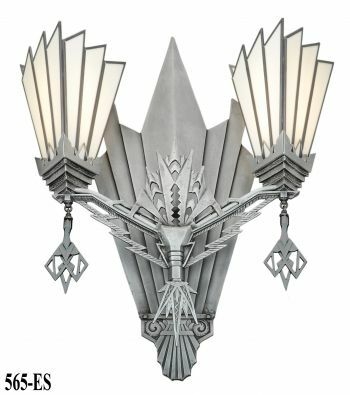 (also with the pseudo vase center) And of course, our lights are fully UL approved. 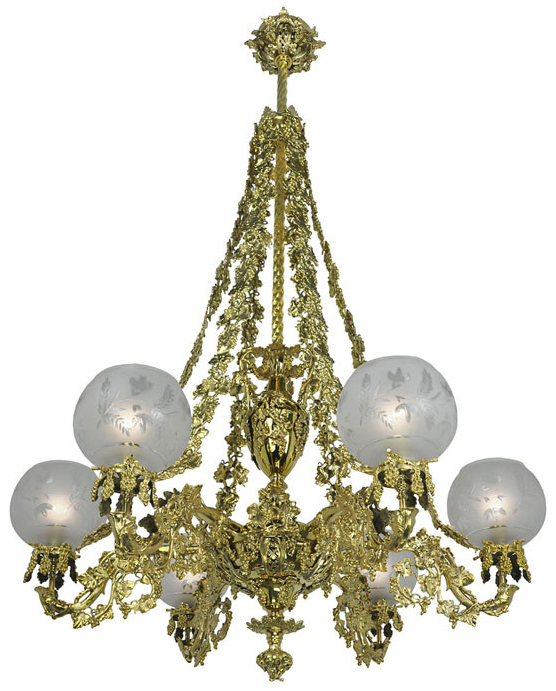 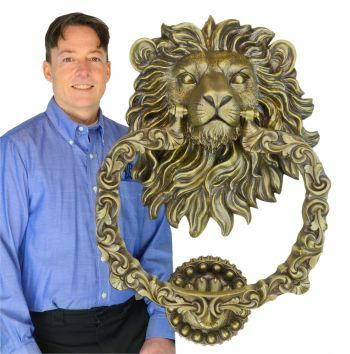 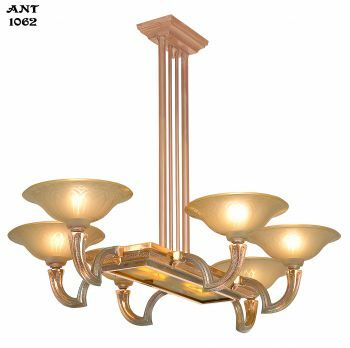 The chandelier is shown in polished, unlacquered brass, but we can create a hand-finished patina of antique brass. 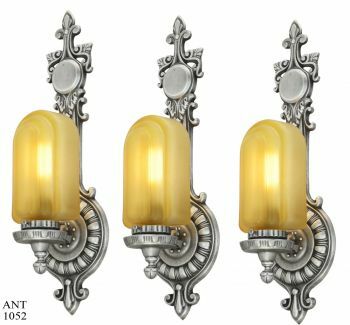 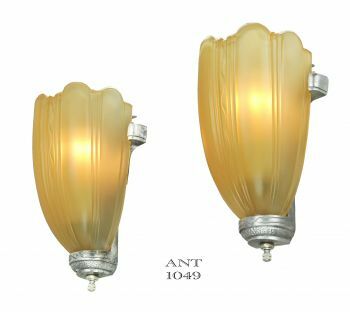 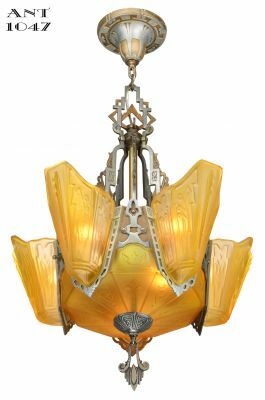 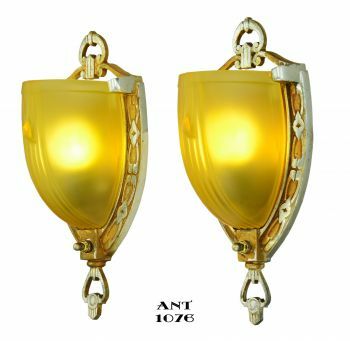 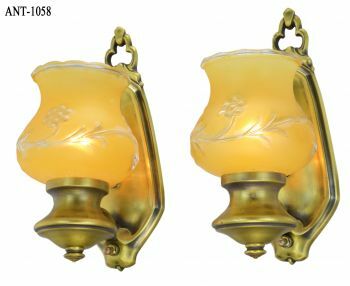 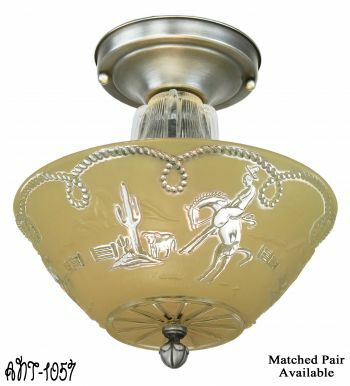 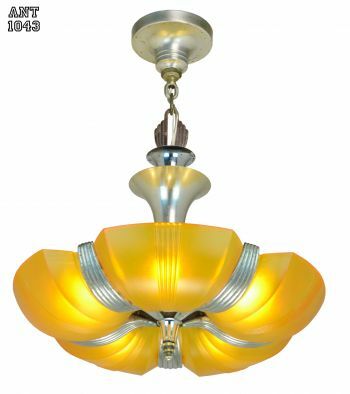 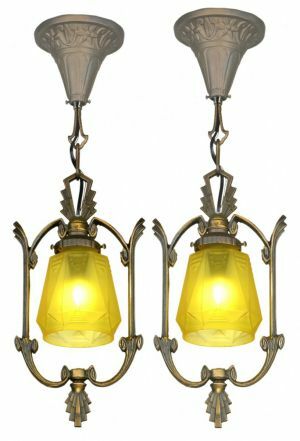 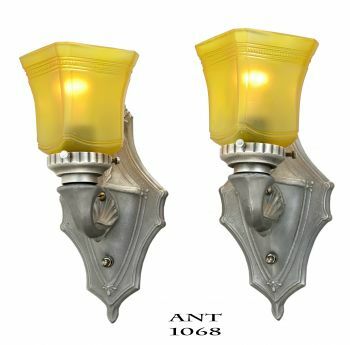 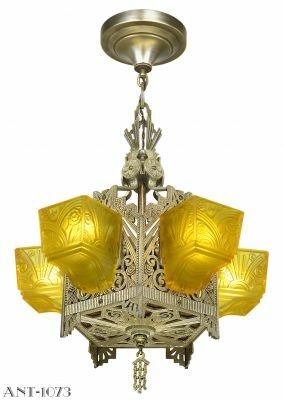 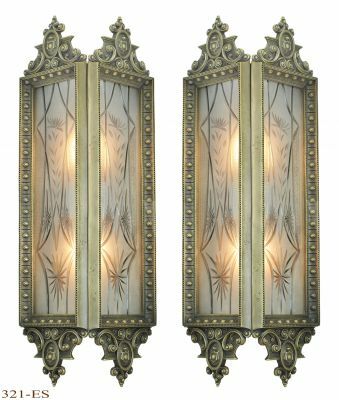 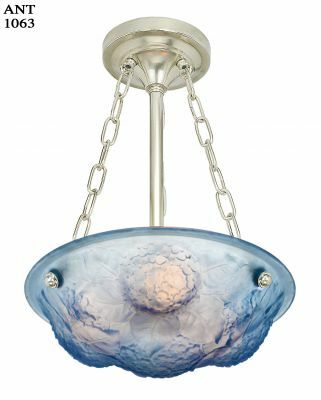 Fixture uses fitter 2 5/8" early gas glass shades, sold separately. 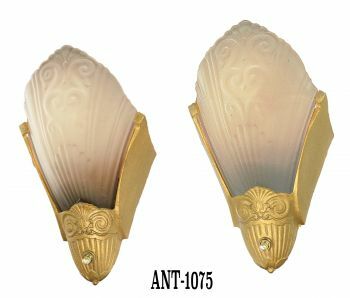 Choose from 11 shades we make. 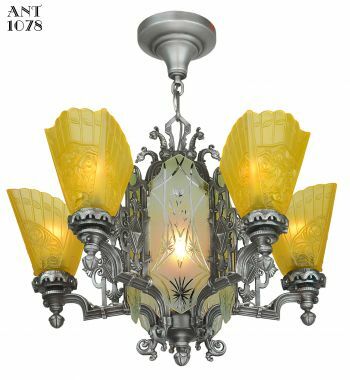 Pictured with shade 086G as a suggestion. 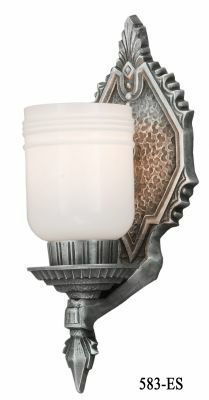 Supplied 63" tall but can be shortened to 30". 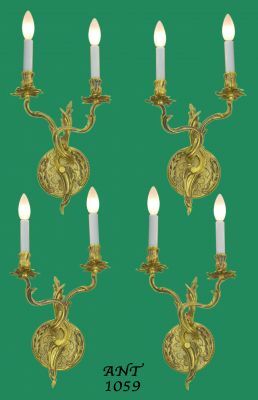 It was shortened for the above picture. 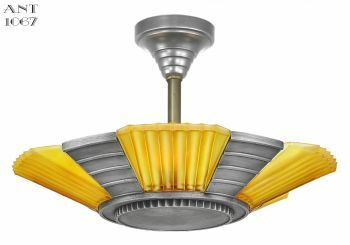 Spread with shades: 39"